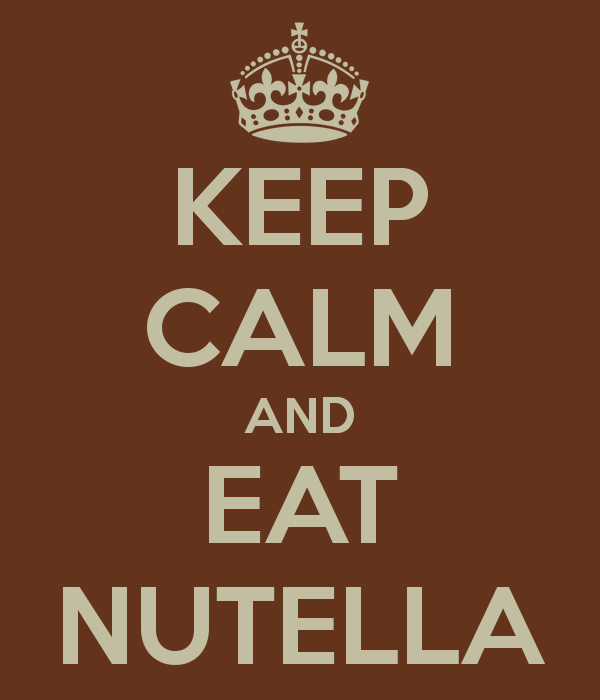 Need I say more than the word, Nutella! This delicious chocolate hazelnut spread is heaven made I am certain. My first introduction to this incredible nut better was when I was in college. I had the opportunity to go on a trip to Europe. As we traveled about the countrysides I discovered that all the hostels and hotels we stayed in had this amazing brown spread with their toast. Instead of the little butter packets we have here in America they have Nutella packets. I do think we need to inherit that tradition. When I took my first bite of toast with Nutella spread on it my tastebuds went to heaven. Then every place we stayed at that was always the first thing we went for at breakfast. I probably ate my share of a lifetimes worth in Paris with all the crepe stands. 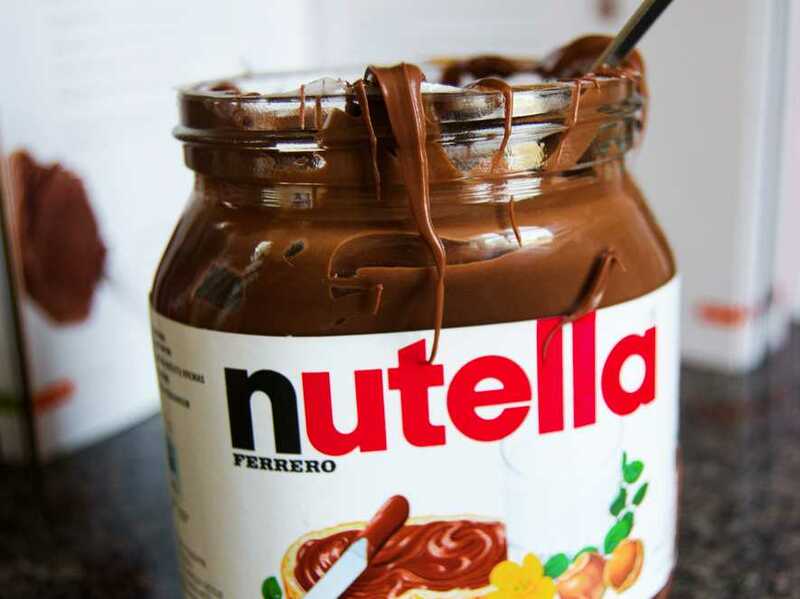 There are so many wonderful things you can use Nutella on but the one that I absolutely love is breakfast foods. Waffles, crepes, and pancakes….there are so many yummy goodies to whip up in the morning! The toppings that can go with Nutella are endless. Fruits are always a favorite, paring it with strawberries or bananas is divine. Nuts are also delicious to add to a Nutella treat. 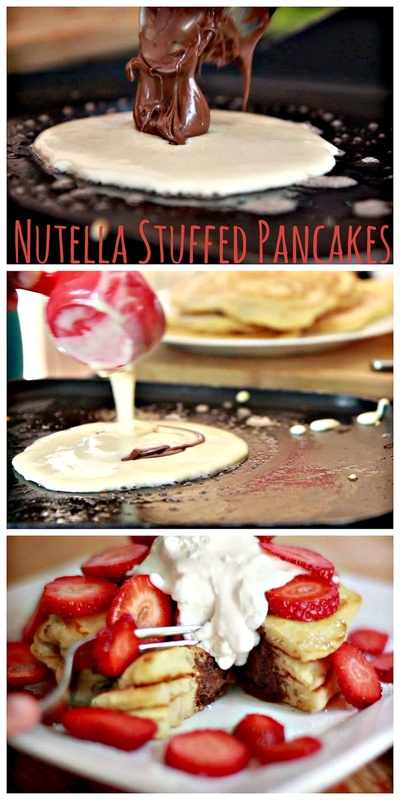 The recipe I bring to you today is Pancakes stuffed with Nutella. This is a Pinterest fave right now and looks incredible. Pancakes are one of the simpler breakfasts and are a quick one to whip up for the family or guests. Adding this little twist will make them a winner at the breakfast table though! And you may just want them for dessert after dinner as well. There are several techniques you can use to make these look and turn out beautiful. The first technique is to actually freeze little patties of the Nutella in the freezer. Then as you are making the pancakes you will layer it between two dribbles of batter. The second technique is just go for it! Put an amount of batter in your pan drop on some Nutella and a little more batter on top and flip away. The freezing technique seems a bit easier, so you don’t end up with a clump in your batter, but it is a little more time consuming up front. 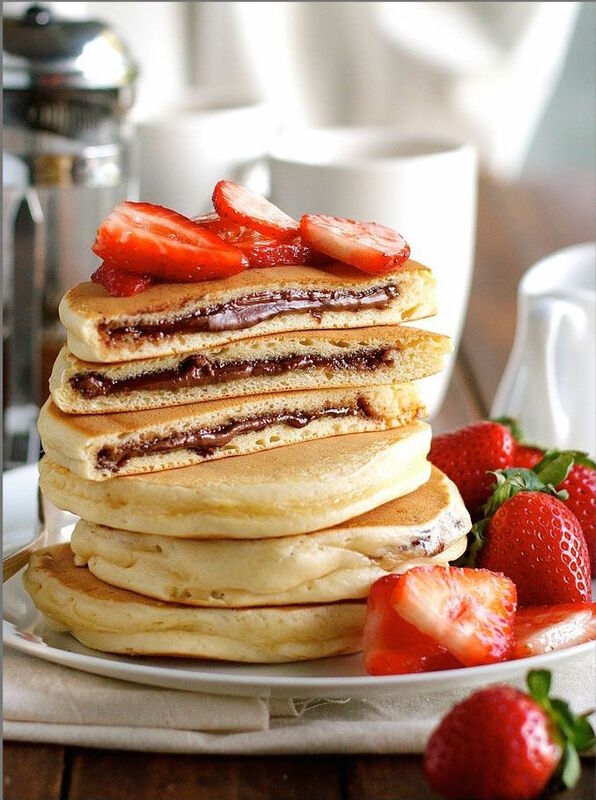 Either way you do it you will end up with a gooey, delicious layer of oozy Nutella when you cut into your pancake. So don’t wait to concoct this one up and have your breakfast table oohing and aahing over each bite. I love breakfast food and it has always been one of my favorite meals. Are you a family that likes to have it for dinner to? Cause I sure am. The more pancakes, waffles, eggs, bacon and cinnamon rolls the better! There is something special about having a warm and delicious meal to start your day and wake up to. Thanks to Pinterest your table can be filled with unique and fun meals that will excite anyone to get out of bed! What is your favorite meal of the day? And what are your favorite breakfast delectables you like to make?